Ocean Shipment Software, whether carrying out consolidations, or direct shipments, towards inbound or outbound destinations, the several steps required for shipping are narrowed down to only a few clicks through the use of Linbis’ Shipment Manager. 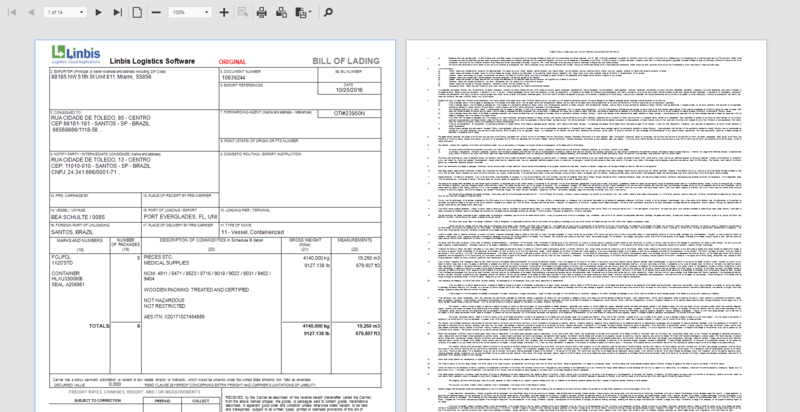 Bill of lading, Cargo Manifests, Booking Confirmations, Loading Plans, Invoices, and Agent Commissions are only a few of the documents available on the application. Prepare shipments from your warehouse management software module, fill out container with our easy to use scanner make no mistake palletizing cargo. Linbis has developed comprehensive Air, Ocean and Ground shipment management systems to carry out consolidations, or direct shipments, towards all inbound or outbound destinations and generate all the required documentation when they are required. Inclution incoterms such as FOB at any shipping point, auto rate, and baroding tools is part of linbis logistics operation. No matter what data you are looking for, Linbis can provide you inventory details, order status, quality metrics, productivity metrics whenever and wherever you need. Linbis Ocean Shipment Software you can produce all documentation required in just one step!! Shipment Forms, MIS Reports, User Configurable Documents. Linbis easy integretation technology make it easy to send information to any software with an open API. With new technology in the shipping industry every day more shippers and freight forwarders demand better, faster and more accurate data. Our Ocean shipments software use Electronic Data Interchange to communicate and send information. 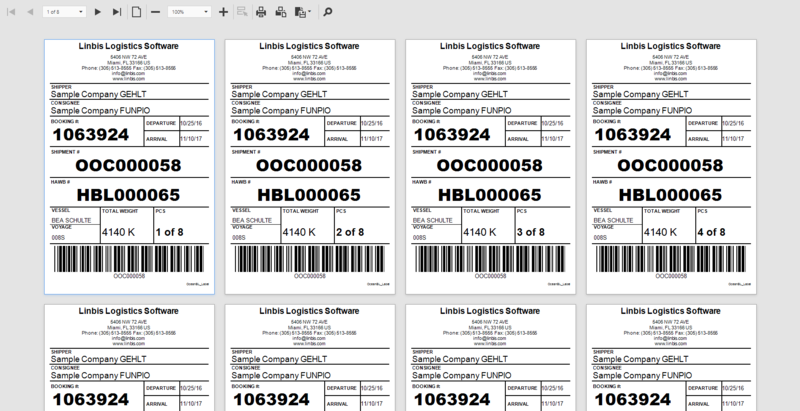 Linbis Logistic software integrates all module from creating a quote. Ocean freight is easier to manage. Sending order for pick up and delivery, creating a warehouse receive in our easy to use warehouse management software WMS, and creating and ocean shipment all this operations from booking to billing its possible with Linbis. The entire accounting is automated, covering all aspects of profit and loss with seamless information flow from operations to billing and client reporting. INTRA now offering Cloud Based Technology for API Integration makes it easy & seamless to integration data storage vs EDI Improves request response system interaction. Linbis Online Freight Management Software can help users to experience advanced ocean shipment planning.